The Sports Car World Endurance Championship WEC goes down to the wire at the six-hour race on the Bahrain International Circuit on 18 November. After a strong maiden season with the 911 RSR, the Porsche GT Team could be crowned world champions in two categories – in the team classification and in the drivers’ classification with Richard Lietz and Frédéric Makowiecki. On the Formula 1 circuit in the Bahrain desert, two 911 RSR will tackle the fiercely competitive GTE-Pro class. …they finish on second or third ahead of Guidi/Calado and Tincknell/Priaulx, provided that Pier Guidi/Calado don’t earn the extra point for pole position. …they earn the extra point for pole position and finish the race ahead of Pier Guidi/Calado and Tincknell/Priaulx – regardless of the position. … it posts pole position and wins the race with the #91 car – and Ferrari finishes no further up the field than fourth. … it wins the race and Ferrari finishes no further up the field than fifth (with or without pole position). … it posts pole position and finishes the race in second – the Ferrari finishes on eighth and Ford doesn’t win. … it finishes the race in second and the Ferrari finishes in eighth without pole position – and the Ford doesn’t win. The Porsche customer team Dempsey Proton Racing, which fights for the FIA World Endurance Trophy in the GTE-Am class with a 2015-spec 911 RSR, can also take home titles in Bahrain. In both the drivers’ and team classifications, they currently rank second after wins at the Nürburgring and in Mexico. Consistently strong performances have put Richard Lietz and Frédéric Makowiecki on course for the title at the season finale in Bahrain. At the wheel of the new 911 RSR, they made a successful start to the new season with third place at Silverstone. At Spa-Francorchamps (5th) and Le Mans (4th), they narrowly missed out on podium spots. However, clinching second at Porsche’s home race on the Nürburgring, they came within striking distance of victory. The pair continued their good form in Mexico City with third place. At the sweltering race in Austin, two drive-through penalties hampered their charge and they had to settle for sixth place. However, Lietz and Makowiecki made a strong comeback in the rain chaos of Fuji to score pole position and second place under difficult conditions. With another second place in Shanghai, they closed the gap to the frontrunners to just two points and thus secured an excellent starting position for the final round in the title fight. The new 911 RSR, built from scratch by Porsche Motorsport at Weissach on the basis of the high-performance 911 GT3 RS sports car for the 2017 season, has impressed with strong performances in its first race season. 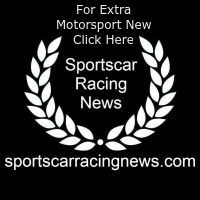 The race car secured its first victory (22 July at Lime Rock) and first title (North American Endurance Cup, drivers’ and team classifications) in the North American IMSA SportsCar Championship. In the WEC, too, the 911 RSR has enjoyed a successful maiden season, notching up eight podium results and two pole positions. Added to this are three fastest race laps (Kévin Estre in Spa and at the Nürburgring, Richard Lietz in Fuji) as well as the fastest qualifying lap in Shanghai thanks to Michael Christensen. 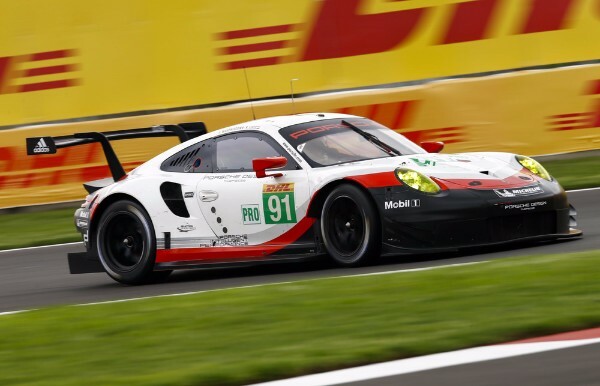 At this year’s races, a 911 RSR has led the GTE-Pro field over a total of 229 laps. The GTE-Pro class, in which Porsche fights against factory teams from Aston Martin, Ferrari and Ford, is the most strongly represented and fiercely contested category in the Sports Car World Endurance Championship WEC. Four different winners have emerged from the eight races contested so far this season. And in the qualifying, too, the competition is tight. In Mexico City, for example, all eight competitors qualified within a mere second. At the Nürburgring, in Austin and Fuji, six vehicles were separated by less than a second. Packed with overtaking manoeuvres and tough fights for positions, most of the races are decided shortly before the finish. At Fuji, Richard Lietz/Frédéric Makowiecki were only 0.968 seconds away from victory; in Shanghai they missed out by just 11.082 seconds. After six hours of racing at Austin, Michael Christensen/Kévin Estre were just 25.663 seconds off the winners. A decisive factor for balanced and fair races is the Balance of Performance (BoP) ruling that aims to achieve a level playing field for the different vehicle concepts. During the races, the performance data of the vehicles is recorded by means of telemetry – not only using lap times, but also acceleration profiles and engine mappings. This data input is automatically analysed and incorporated into the Balance of Performance. In keeping with FIA’s intention, the key to success on the racetrack is not about the individual potential of a vehicle, instead it’s about the performance of the drivers, the race strategy, a perfect setup or the skill of the team with their pit stops. A distinctive feature about the six-hour race on the Bahrain International Circuit is that it starts in the heat of the afternoon and ends in the darkness and cooler temperatures of the late evening. The 5.407-kilometre racetrack with its 14 corners is located 30 minutes by car to the southwest of the capital Manama. In 2004, the track was purpose-built in the middle of the desert for Formula 1. Four Porsche factory pilots and a Porsche Young Professional compete in Bahrain. In the GTE-Pro class, Richard Lietz (Austria) and Frédéric Makowiecki (France) share the cockpit of the #91 Porsche 911 RSR. Their team colleagues Michael Christensen (Denmark) and Kévin Estre (France) drive the 911 RSR with the starting number 92. The Porsche Young Professional Matteo Cairoli contests the GTE-Am class in the #77 car fielded by Dempsey Proton Racing. So far this season, the Porsche customer team has netted victories at the Nürburgring and in Mexico. The 911 RSR, developed on the basis of the high-performance 911 GT3 RS sports car, contested its first season in 2017. The suspension, body structure, aerodynamic concept, engine and transmission were all designed from scratch by Porsche Motorsport in Weissach for this season. Depending on the size of the restrictor, the motor, which is positioned in front of the rear axle, puts out around 375 kW (510 hp). Thanks to the large rear diffuser combined with a top-mounted rear wing, the level of downforce and the aerodynamic efficiency were significantly improved.